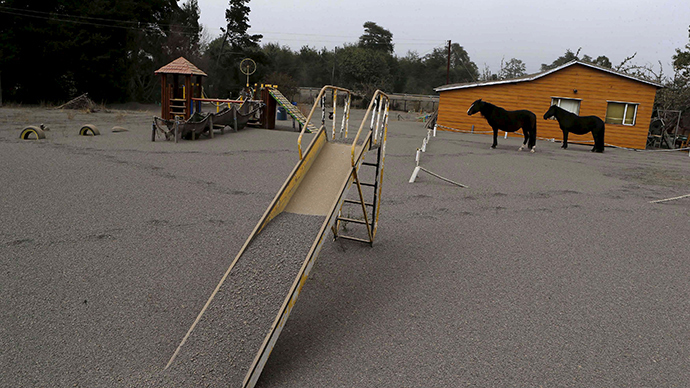 A thick layer of ash has covered the streets of the town of Puerto Varas and triggered an evacuation on Thursday after the surprise eruption of Calbuco volcano in Chile’s south. 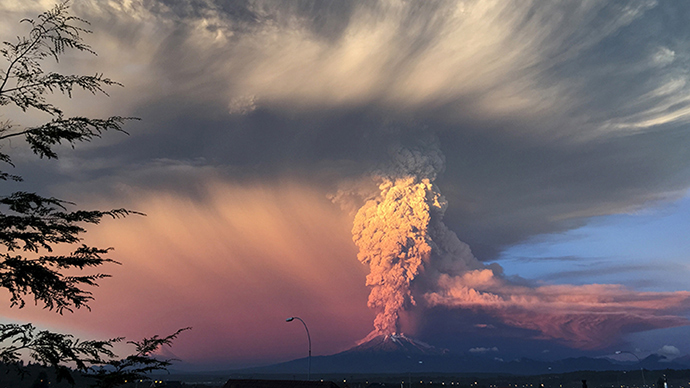 Winds have carried most of the giant ash cloud over the Andes Mountains into neighboring Argentina, but the Chilean tourist town of Puerto Varas was also seriously affected, despite being nearly 30km away from the action. The ash covered the roads, rooftops and cars in the town, raising health concerns among the local population. “We woke up today with a blanket of fog and it hasn't cleared. We have a layer of smoke above us,” one resident told the Daily Mail. Some 4,500 people were evacuated from Puerto Varas and other towns in the vicinity of the volcano due to the high concentration of ash and gas in the air. Inhalation of volcanic ash is dangerous to human health as harmful aerosols and poisonous gases comprising it can lead to respiratory and eye problems as well as skin irritation. In the long run, inhaling volcanic ash may cause silicosis, a disease characterized by lung impairment and scarring from exposure to particles of free crystalline silica. Large quantities of ash may also lead to collapses of roofs of buildings and contamination of water supplies. There was also panic and traffic jams in the Puerto Varas as the locals rushed to gas stations to fill up their tanks. Schools in the area were closed, with people appearing in the streets wearing face mask to dig out their vehicles from the ash. 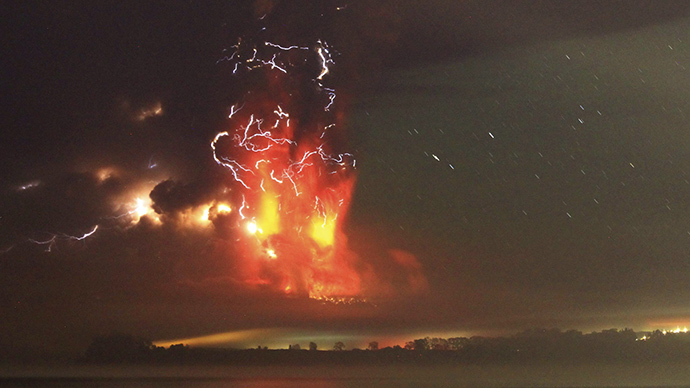 No deaths or injuries have been so far reported as a result of Calbuco’s eruption. The volcano released a stunning 15km plume of ash and smoke into the air after erupting twice in 24 hours on Thursday. Chile, which is situated on the so called on the Pacific 'Rim of Fire', hosts second-largest chain of volcanoes in the world after Indonesia, with around 500 potentially-active volcanoes.